Mildred Norman Ryder, "Peace Pilgrim," was inducted into the Appalachian Trail Hall of Fame in 2017! 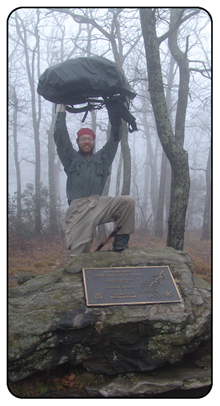 In honor of the 65th anniversay of Mildred Norman Ryder's first female thru hike of the AT in 1952, Trail Fest is partnering with Walk a Mile in My Shoes for a Community Shoe Drive. 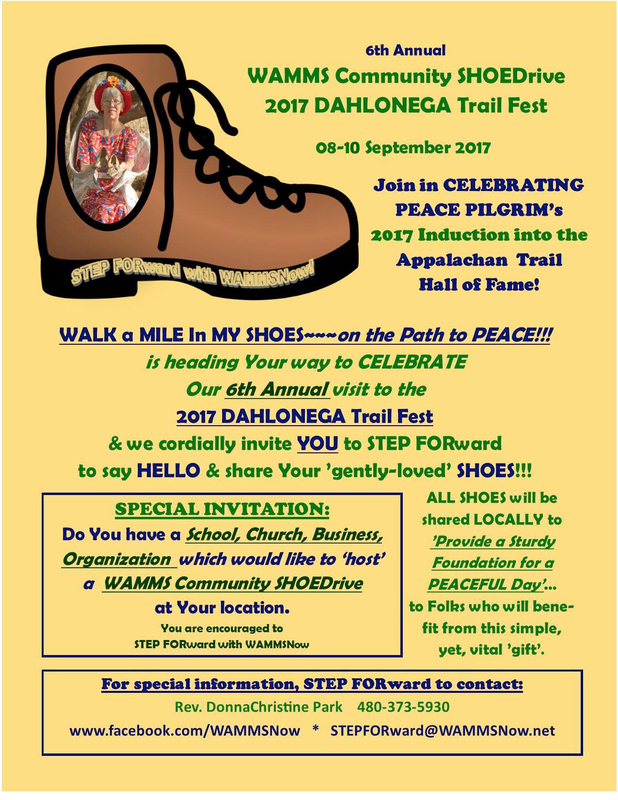 We will collect gently used shoes during the Trail Fest and donate them to local charities in Dahlonega. Mildred Norman Ryder, and her walks for peace, is the inspiration for WAMMS. WAMMS founder DonnaChristine Park, The Little Ol' Lady AND the SHOES, will be here from Arizona and at the collection booth in the park. Save those shoes you no longer wear and bring them to Trail Fest!